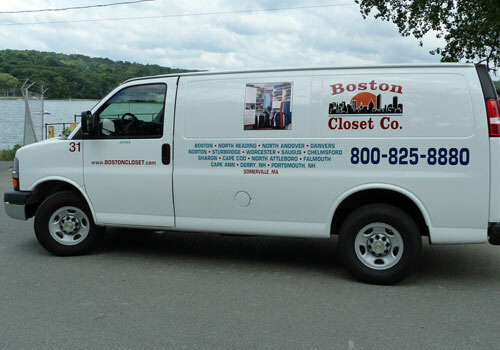 The Boston Closet Company has offered home storage solutions since 1977 and has grown to become one of the most referred companies in New England. The Boston Closet Company is not a franchise; we are family- and locally owned. For more than 33 years, Boston Closet Company has been developing, perfecting and sharing its innovative storage solutions. Closets were our first passion and now our areas of expertise also cover garages, home offices, pantries, laundry rooms, entertainment centers, hobby centers and much more. If you have an area of your home that needs organization, or you have “unusable” space, bring out one of our professional designers to receive a free, no-obligation consultation. Dependability is an important part of our design services, from the initial design consultation to the final installation. 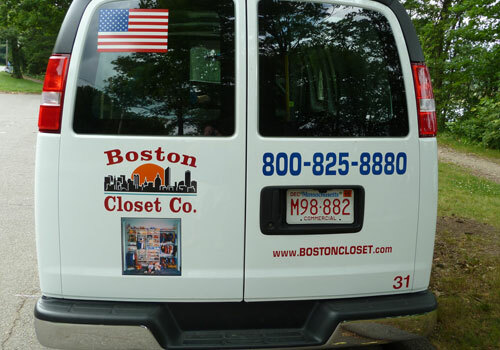 With the Boston Closet Company, you don’t have to worry about designers and installers being late for or even missing appointments. We realize that your time is valuable and, as such, each member of our staff is always punctual, professional and courteous. When you schedule a complimentary consultation with the Boston Closet Company, one of our professional designers will come to your home and discuss your organization needs and potential storage solutions. Though they will have many ideas of their own, it is equally important that you be actively involved in the design process, which our customers appreciate. You’ll find that our prices are unbeatable in the Boston area. As an established closet company, we have developed strong relationships with area material suppliers. As a result, we’re able to offer quality closet and storage solutions at incredibly low prices. We realize that you’re making an investment in your home, and we can provide you with an excellent product for a reasonable price. Our designers are trained to work with you to create the closet you want, and allow you to control the price you will pay. We don’t subcontract any of our work so we can manage the outcome of your project and ensure customer satisfaction. Our products aren’t mass-produced and certainly don’t come from kits. Each of our products are custom-built by our in-house carpenters who have the skill and experience to get the job done right. Our professional installation always includes a spotless clean-up. Many of our customers are so satisfied with our work that they invite us back for another area of the home or refer us to a colleague, friend or relative. There is no bigger compliment we can receive on the quality of our work than a returning customer, or a customer who entrusts us to work with someone they know. It’s one thing to know that you need help organizing your space and quite another to entrust someone with that responsibility. That’s why we offer a free, no-obligation consultation with one of our professional designers before you’re asked to commit to anything. Our designers will educate you on the product offerings and options available for your project. They will work with you to create the storage solution you need. We’re so confident in the quality design and craftsmanship of our products that we guarantee our work for years to come. If you aren’t satisfied with your storage solution for any reason, contact us and we’ll quickly provide you with a solution to your exact specifications. At the Boston Closet Company, we pride ourselves on providing quality, custom products at very reasonable prices. Contact us today for your FREE, no-obligation consultation.